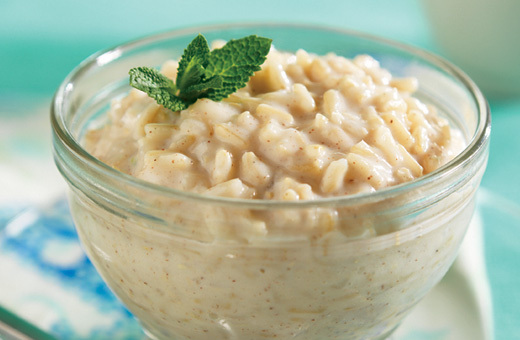 A whole-grain brown rice pudding sweetened with maple syrup. Don't forget to add the cinnamon! Combine cooked rice, milk and maple syrup in a medium saucepan. Bring to a boil; reduce heat and simmer 20 minutes; stirring frequently. Remove from heat, and stir in butter and cinnamon. Garnish with additional cinnamon, if desired.